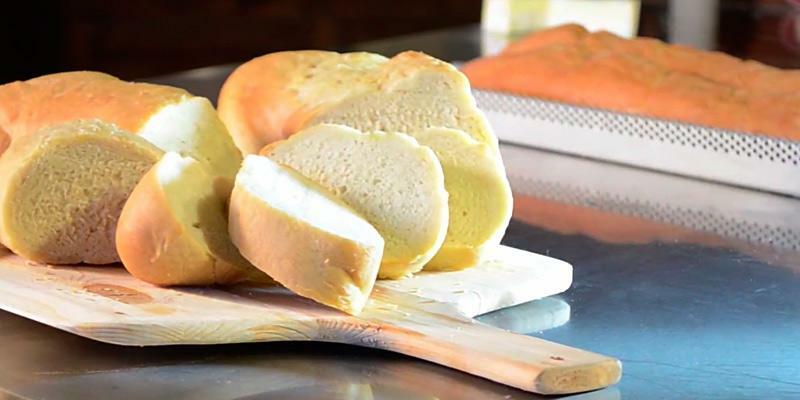 The set comes with a professional-quality bread lame that will easily give a professional finish to your bread (nice cuts on the French loaf). A bread pan material is quite delicate. 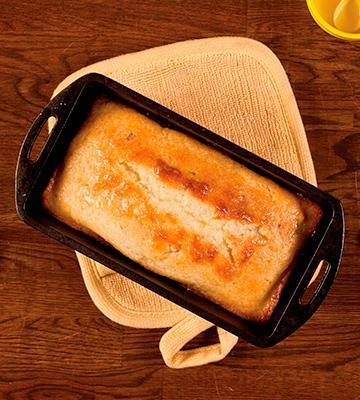 A classic Sassafras bread pan will give you an amazing opportunity to create fine cuisines in your domestic kitchen. And an attractive design of a pan is perfect for serving. Besides, it is an excellent set not only to cook bread but also bake meat and homemade rolls. 21" x 10.5" x 10"
A perforated surface of this awesome bread pan ensures good air circulation for an ideal appetizing golden brown crust. Due to an extraordinary shape, you will need to get the hang of using it. A specific design with a high separating ledge and dual non-stick coating will prevent the dough from sticking to the pan and allow you to bake two loaves at a time without a hassle. 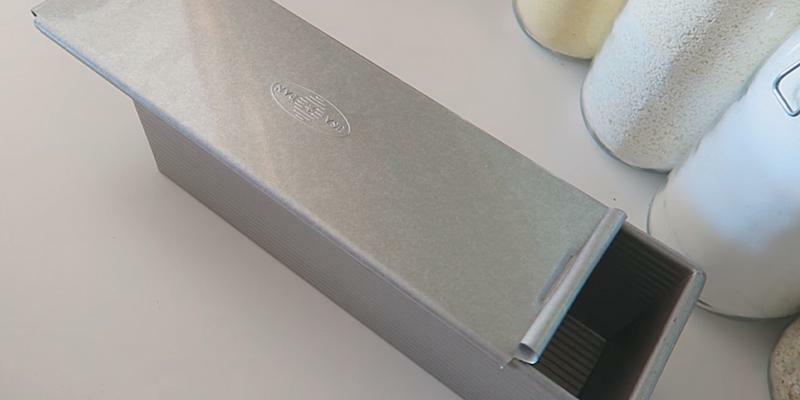 A fantastic Chicago Metallic Bread Pan will surely delight both home and professional bakers. 16.4" x 8" x 2.5"
This model is distinguished by a handy sliding lid for evenly shaped and perfectly baked toast or sandwich bread. You should be careful using this pan due to its rather sharp edges. 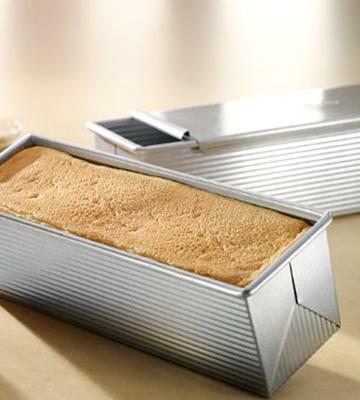 Pullman baking pan features a special corrugated surface, ensuring evenly baked loaves. It is a real catch for home use. 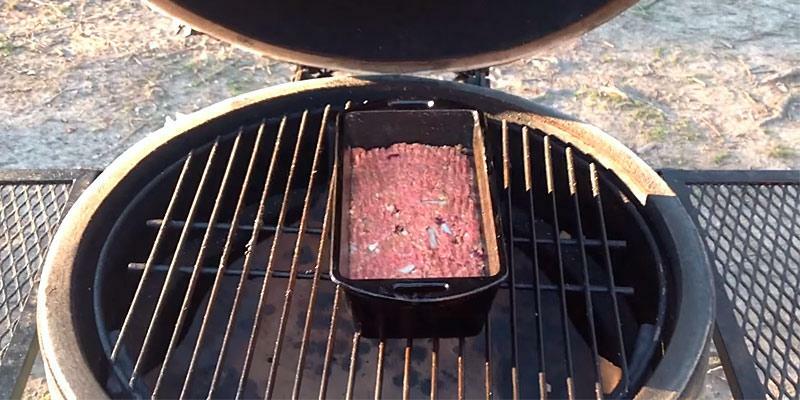 Lodge loaf pan is highly durable, giving you an unmatched opportunity to use it as a container for BBQ smoker chips as well as a fantastic jelly mold. Bread pan interior is unsmooth. 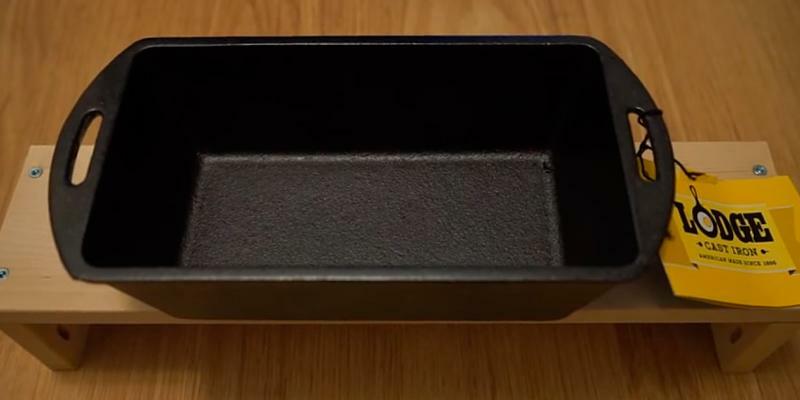 This cast iron bread pan is unrivalled for its unique heat retention properties and optimum heat distribution. An unparalleled model for regular use and superior baking results. 10.2" x 5.1" x 2.9"
Only with this one-of-the-kind model, you will bake 7 crispy cornbreads at a time. This bread pan is rather thin. If you like making some funny and unusual bread, this 7-slot bread pan is for you. 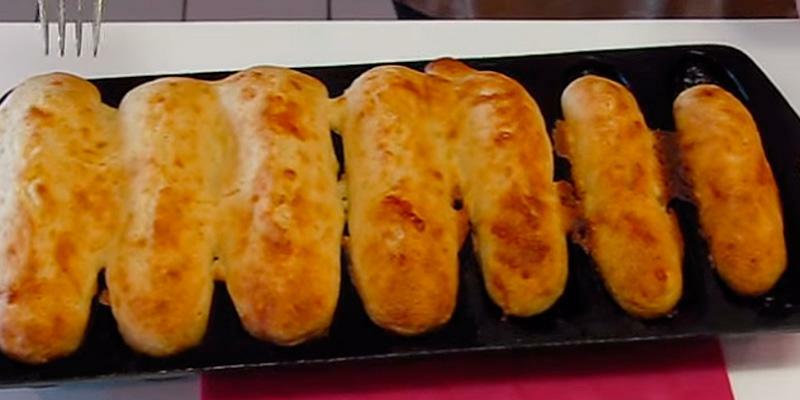 Its distinctive design allows baking homemade bread shaped like corn ears. Be sure, your children will love it! 12.3" x 5.4" x 1"
When it comes to choosing bakeware, you will come across a number of materials it can be made of. Everything depends on your individual preferences. You can select between bread pans for excellent baking results, easy-to-clean models, durable or decorative sets. Yet, if you are looking for a utensil with all the above-mentioned features, there is no point to search for anything but ceramic baking pans. 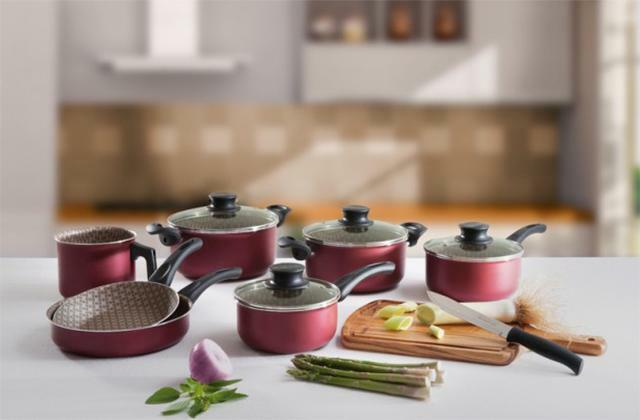 Ceramic pans are distinguished by a variety of advantages compared to other materials. Let’s have a closer look. 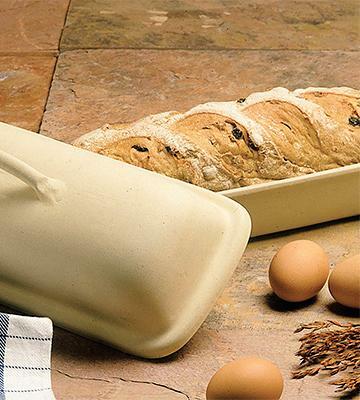 1) The first thing you will notice in a ceramic Sassafras bread pan is an eye-catching design. It looks so cute and cozy that you can serve some freshly cooked dainties right from the oven. 2) Even heat distribution. 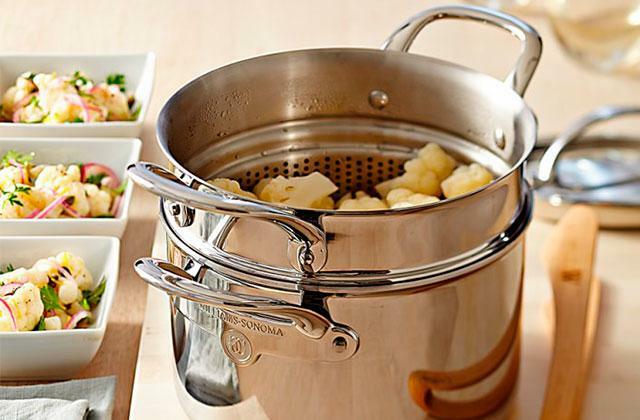 The ceramic pan will ensure the optimal and efficient heat distribution. You will get a perfect evenly baked loaf with a lovely crispy color and without a moist crust. 3) Durability and long service life. Ceramic kitchenware is scratch- and cut-resistant. Moreover, it is completely safe for allergic people as it contains no toxins. A ceramic bread pan is one of the most durable kitchen utensils. Its surface is corrosion-proof and does not require additional finishing or seasoning. 4) Easy to clean. A ceramic bread tin is easy to wash. 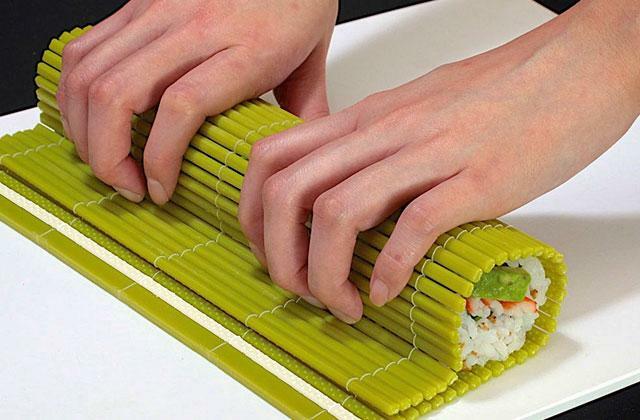 This material prevents food scorching and makes cleaning a breeze. But if your food stuck to the pan, you can easily use some cleaning powder without scratching the solid coating of the pan. The only drawback of ceramics is fragility. Just try to avoid dropping the pan or putting it into the heated oven as the temperature difference is destructive for ceramic coating! This bread pan set is shipped with a professional bread lame – a special dough cutting tool that will add a professional touch to your loaf. 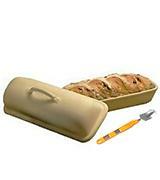 It is much more convenient than an ordinary knife for precise incisions on the loaf. The bread loaf with professional cuts is a French invention. First, such loaves were mentioned in 1834 by the French scientist Vaudrie who wrote several books on bread baking. The major purpose of these incisions was to improve the appearance of a bread loaf. Initially, such cuts were made only on the bread for rich families and at the best French restaurants. But in reality, these incisions have a pure practical bearing. The thing is that a smooth surface of a loaf can crack while being baked. To avoid this problem, bakers make cuts on a loaf. Actually, these are intentional scotches allowing the dough to proof and crack only where needed. To get a good-looking loaf with a mouth-watering crust you need to make incisions quickly and precisely. And there are a lot of incision techniques. Have a look and check some of the most efficient techniques in this video. You always have an opportunity to choose a round bread pan. Or you may be interested in a unique proofing pan made of natural rattan. It is used to proof the hearth bread (high-grade scones) before baking. 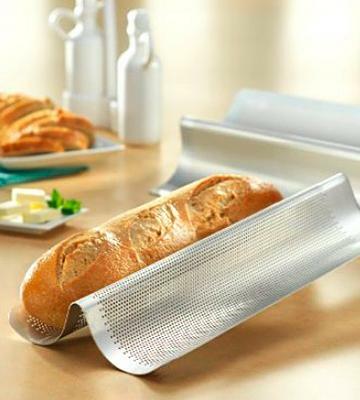 Chicago Metallic perforated bread pan is specifically designed for baking French baguettes. It facilitates the baking of French loaves and has some peculiar features distinguishing it from the traditional pans. 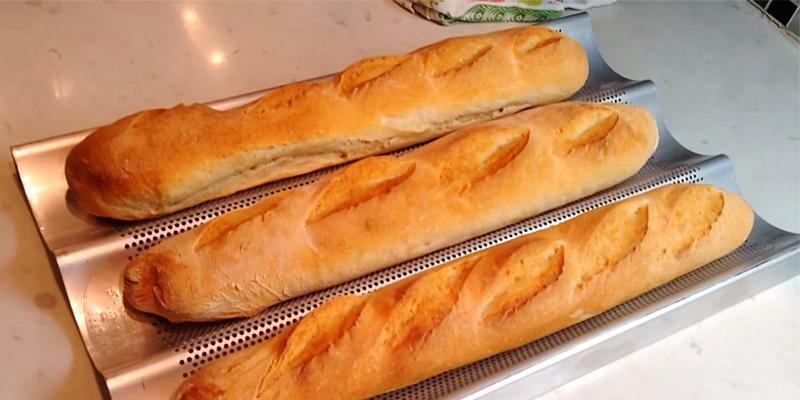 Any French bread pan is divided into long thin slots. The number of such slots can vary from 2 to 6 and even more. As a result, you can get several fragrant crispy loaves at a time. A perforated surface and a high separating ledge help you make evenly baked bread and contribute to non-stick properties of the utensil. 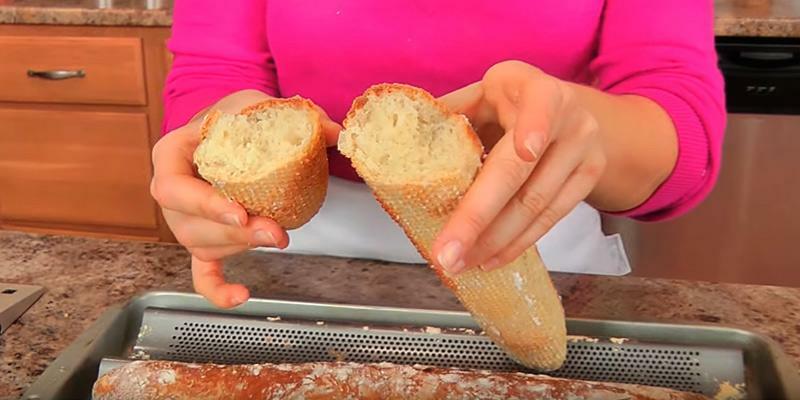 Besides, the perforation provides a good air circulation to form delicious crunchy crust all over the baguette. France is a country where bread is a real national symbol. Every self-respecting Frenchman is simply obliged to start the day with dropping to a cozy local bakery. And in several minutes, he or she walks out with a still hot crispy baguette and goes to work delightfully biting a French roll and smiling to passers-by. The history of a French baguette goes back to the beginning of the XXth century after the issue of the act prohibiting bakers to start working before 4 a.m. So, they could not make traditional round bread anymore. But inventive bakers found the way out. They made a fermented dough and shaped it in the form of a long rope. Such method of dough forming significantly cut the bread baking time. Thus, today we have an incredibly delicious and flavorful baguette. Do you know that statistically the French consume about 67 kg of bread per capita annually? For the record, it is the highest rate in Europe. Chicago Metallic positions itself as an expert in baking. The company catalogue offers the whole bunch of tools and utensils that will help you bake mouth-watering homemade bread. And on a company's official website, you will find a lot of interesting and useful information including everyday and traditional recipes, videos, and seasonal recipes. 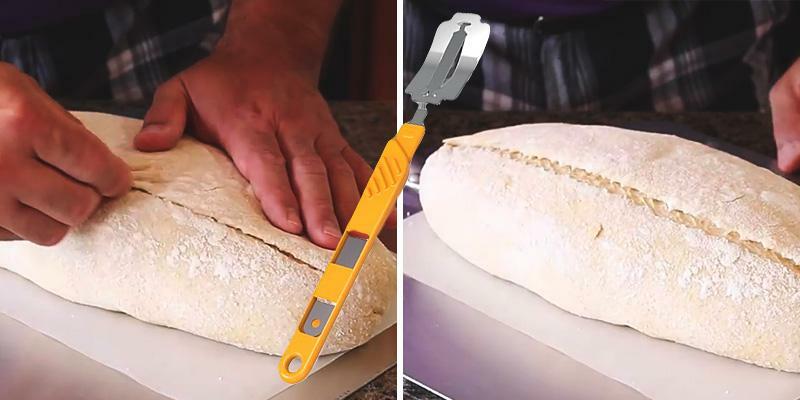 We recommend you to use a special scraper to portion the kneaded dough easily and without a hassle. The tool is non-stick, so it prevents the sticking of batter and makes the cleaning process trouble-free. Meanwhile, it is an extremely handy item to spread the butter, whipped cream, and different toppings. Additionally, the bread dough whisk is really helpful to mix a perfect soft dough. It is an amazingly convenient tool to knead dough for pizza, pasta, bread, pastry and many other delicacies. If you want to keep your homemade bread fresh to treat your family and guests, pick a good bread box. You can select between conventional wooden bread boxes and modern models. This bread pan will get a high appraisal from everyone who cannot imagine mornings without a hot toast for breakfast. By the way, toast bread can be served not only for breakfast but also as a part of various appetizers. And untoasted bread is perfect for sandwiches. 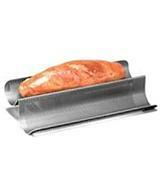 USA Pan Bakeware Aluminized Steel Pullman Loaf Pan is produced using high-end technologies. Owing to pressurized metal casting, the pan differs from its counterparts by a longer service life and provides better bread simmering while baking. 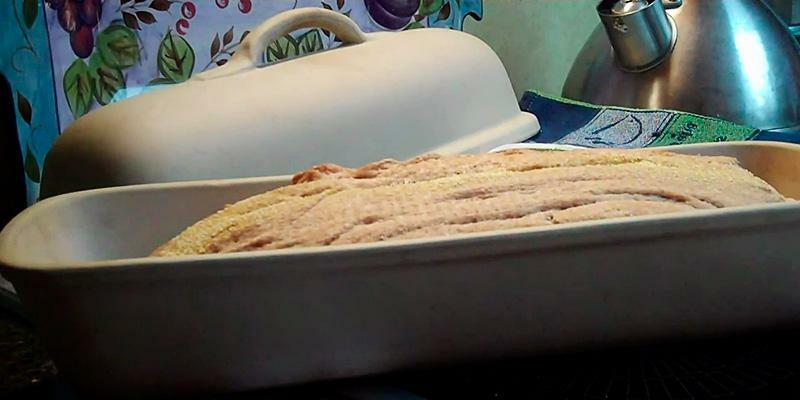 Pullman Loaf Pan has a number of distinctive features. Let’s highlight some of them. First of all, this bread tin ensures the most optimal loaf dimensions. Secondly, the corrugated surface facilitates air circulation for evenly baked goods. And what really singles this baking pan out is a sliding lid. In a tightly closed pan, bakery goods have a thicker crumb and a less spongy structure. Besides, the crumb of your bread will stale slower and the loaf will not have a dry crust. And actually, these are peculiar characteristics toast bread should basically have. Slightly roasted bread has been known for ages. The word “toast” originates from the Latin word “tostum” and means “to burn”. During never ending military expeditions the Romans adored roasting bread over the open fire. Conquering more and more lands, they spread this nice tradition right to the British border. Later, English colonists brought this habit to America. And since then, toasted bread is almost a national heritage of Americans. They toast all types of bread and spread almost anything on it from popular peanut butter to exquisite jams, creams, and pastes. Originally, they used a special device placed on a hot hearthstone. They held bread slices with usual forks or special bread holders. 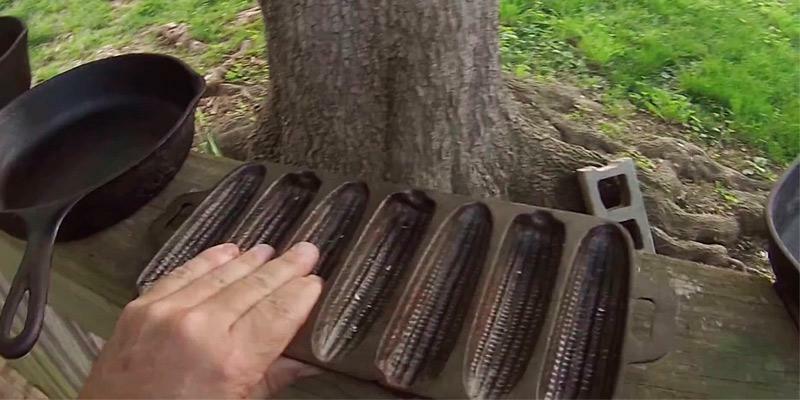 People ordered toasting devices from a local blacksmith and stored it as a masterpiece. And sometimes these were real pieces of art as every blacksmith valued his work often decorating the appliance handles with fanciful curls. Of course, today everything is much easier and much more technological. To tailor your toasts to perfection, manufacturers offer not only baking pans but also electric kitchen gadgets that you can find on our website: toaster, toaster oven. When you first encounter baking toast bread, you might ask how to select the proper mass of dough to fill the pan without overlapping the edge? And there is a simple comprehensive calculation – you need to take 8.3 ounces of dough per 1 quart of pan capacity. 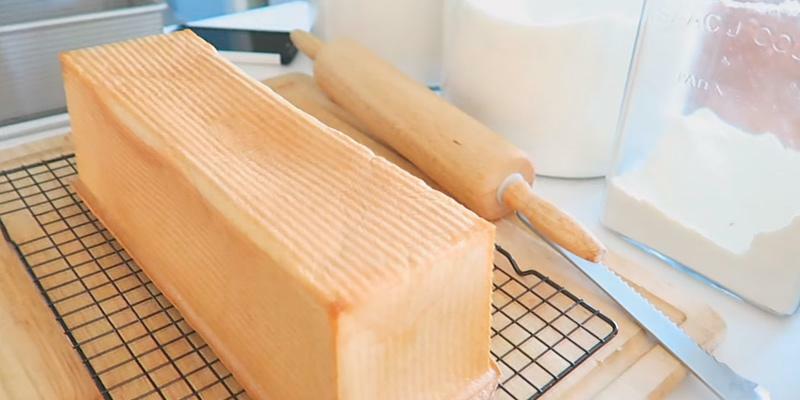 You can quickly make a lip-smacking sandwich with immaculate slicers that will slice bread and easily cope with ham, cheese and other ingredients. Check our electric food slicers review to find your best slicer. Several generations of housewives successfully used cast iron baking pans. 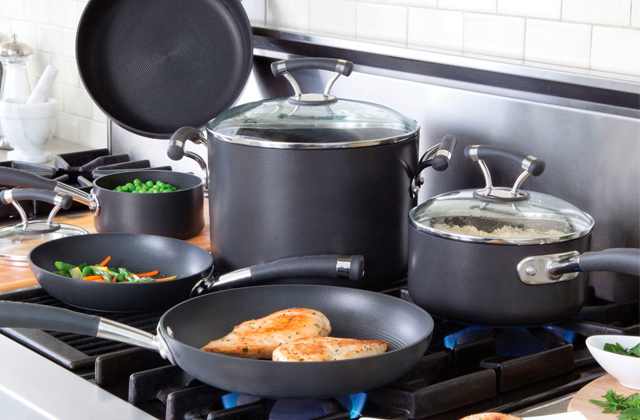 This cookware is distinguished by virtually unparalleled durability and service life. 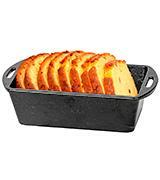 Cast iron bread pans are solid and durable, quickly and evenly heated like ceramic pans, so there is no need to worry about scorching. Unique properties of cast iron kitchenware are determined by the fact that the utensils are oiled, seasoned, and, owing to a thin film formed on the surface, they become even better over time. The only drawback of cast iron baking pans is their big weight and proneness to rust formation. To avoid this problem we advise seasoning the pan in the oven before use and always wipe dry after use. Fortunately, you will not face such issue, using Lodge L4LP3 Loaf Pan. Because it comes seasoned and ready to use! It is worth mentioning that on choosing this decent bread pan, you will also get an amazing accessory for barbeque. Thanks to extreme durability and heat resistance, Lodge L4LP bread pan is an ideal container for the BBQ smoker chips. The thick and high walls of this bread tin ensure excellent heat retention, while steel-made counterparts are deprived of this advantage. Cast iron likes high temperatures and the more often it is heated, the better it 'feels' and 'behaves'. Accordingly, it will never be deformed or burned and there is no danger of heat-caused holes. Furthermore, cast iron bread pans are paid off rather quickly. Thin-walled charcoal grills made from metal sheets wear out within 5 years on average. Meanwhile, with a proper care, a cast iron pan will be good as new for decades. For efficient and proper cleaning of your fantastic cast iron bread pan, we recommend considering special cleaning scrub brush with a wooden ergonomic handle. 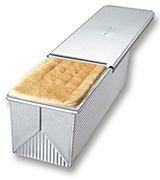 It will take care of your premium-quality bread pan and prolong its service life for years. 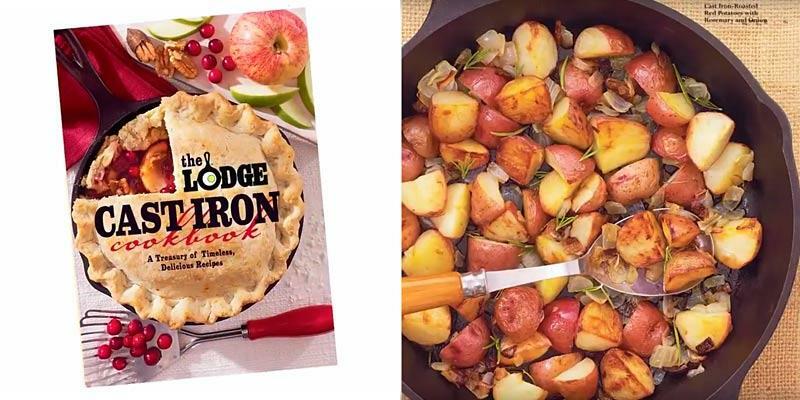 At the same time, we bring to your attention The Lodge Cast Iron Cookbook containing over 200 recipes of healthy dishes for cast iron cookware. 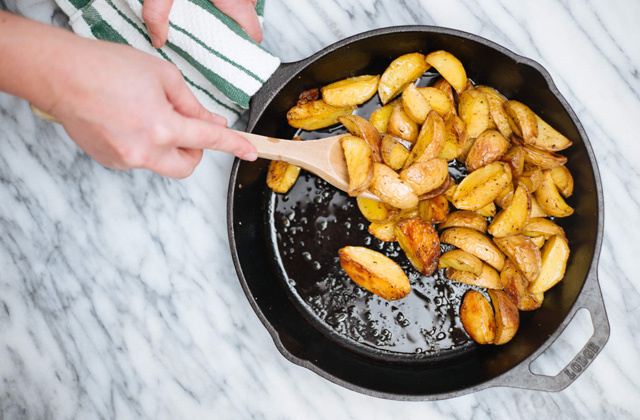 With cast iron utensils, making tasty food is simple! What About a Corn Dainty? 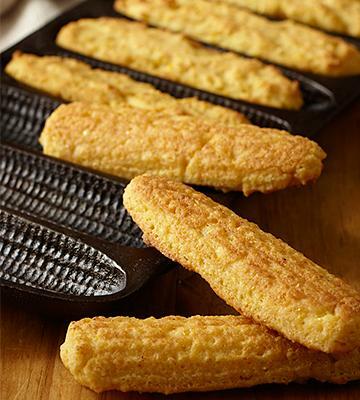 You will fall in love with the Lodge Logic Cornstick Pan at first glance. 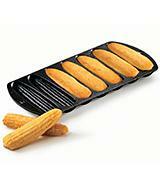 What can be better than seven freshly baked crusty corn sticks? 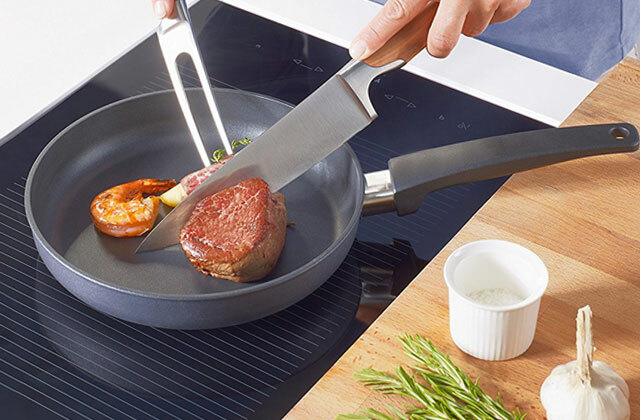 You may choose between a 5-stick pan and a 7-stick pan according to your preferences. And be sure that both children and adults will rave about such tongue breakers. Low energy value, much lower as compared to wheat bread. Since corn bread does not promote weight gain, it is often recommended by nutrition advisers for individuals trying to work off excess weight. High vitamins and minerals content. Corn grits are less screened and less processed. Thanks to this, corn flour retains more vitamins and structural elements contained in corn membrane. As a result, corn bread is quicker assimilated by a human organism, so your body will get much more nutrients. The corn grits contain a lot of fibers beneficial to intestinal health, recovering and toning your intestinal tract. Besides, it is the fiber that prevents abundant cholesterol absorption, thus protecting our cardiovascular system. Cornbread maintains metabolic processes in our body. For that reason, nutrition experts recommend eating corn bread to patients suffering from mild forms of diabetes, pancreatic disorders, and obesity. In general, bread is one of the most ancient foods cooked by mankind. Scones, tortillas, pies, rolls … and a lot more to count. And what about baking an awesome homemade loaf with an unforgettable aroma and a fabulous taste? We bring to your notice one of the popular applications offering best bread recipes with pictures and detailed descriptions. Nowadays, more and more homemakers prefer silicone baking pans. Since silicone easily withstands various temperature ranges, including extremely low temperatures, you can use silicone pans not only for baking but also for freezing. 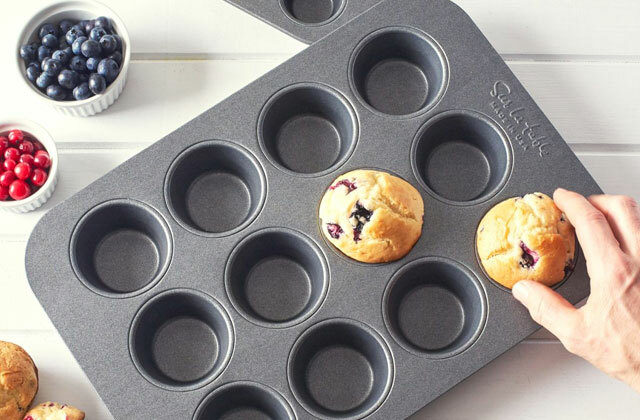 All pastry lovers will be delighted to cook in special muffin pans. Bread pan is a special container for baking amazing homemade bread. Today, you hardly find any store selling bread without preservatives, colorants, flavoring agents, and other additives harmful to human health. Hence, it is really worth baking homemade bread. And what do you need for that apart from ingredients? Right! You need a bread pan. And your baking result directly depends on the quality and design of the bread tin. It ensures an appropriate dough proofing and evenly baked loaves. 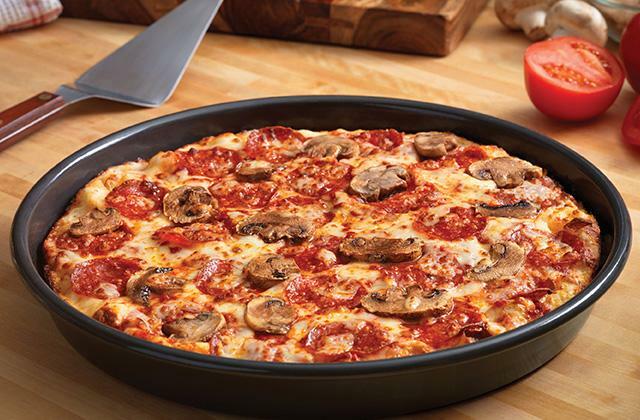 Present-day models allow creating a nice golden-brown crust and avoid scorching. Moreover, most bread pans are designed to facilitate the removal of loaves. To keep your homemade bakery products fresh and tasty, we recommend using bread boxes. Meanwhile, everyone who has a sweet tooth will rave about mouth-melting donuts from a donut maker. The range and diversity of bread pans offered on the market might make a beginner breadmaker's head reel. Our bread pans review will help you choose the best baking pan for your needs and to your liking. Most often bread pans are made of aluminized steel, cast iron or ceramics. Aluminized steel pans were well-known by our grandparents and they remain popular today. 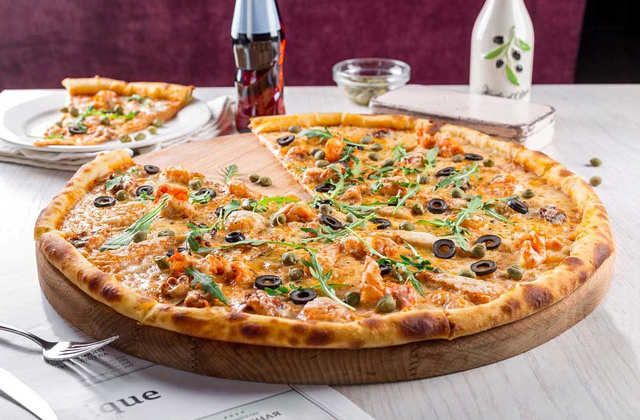 Commonly, it is thin steel allowing the dough to be baked quicker and at lower temperatures. An aluminized steel baking pan can lose shape but under delicate and careful handling it will serve you for years. Just mind the solid joints of such bread tin to endure high temperatures without breaking. The cast iron is similar to ceramics in terms of wall thickness. In a cast iron bread pan, the dough is baked evenly. But you’d better oil your pan before using to achieve the excellent performance. A rather large weight of cast iron pans is fully rewarded by perfect baking results. And the biggest advantage of this material is an extremely long service life. When it comes to ceramics, we should highlight its elegant and attractive look. Thick walls will prevent the scorching and sticking of dough. You will get an appetizing, evenly baked loaf without a moist crumb. 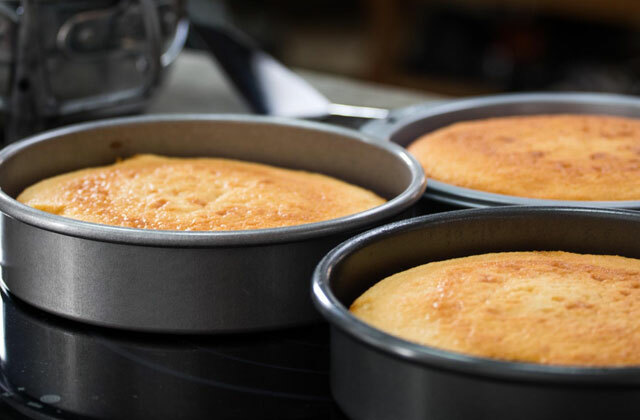 Though ceramic bread pans are heavy and a bit fragile, ceramic bakeware is heat-resistant and looks amazing, allowing you to serve freshly baked bread or pastry right from the oven. What does the bread pan capacity mean? Today, there is a variety of baking pans of all possible kinds. The most frequently used and widespread shape is a traditional brick bread pan. If you have a big family, choose the bread tins allowing you to bake two scrumptious loaves at a time to treat all your family members with fresh homemade bread. And for creative bakers, manufacturers offer baking pans with 5-9 different slots to make loaves of some unusual shapes. 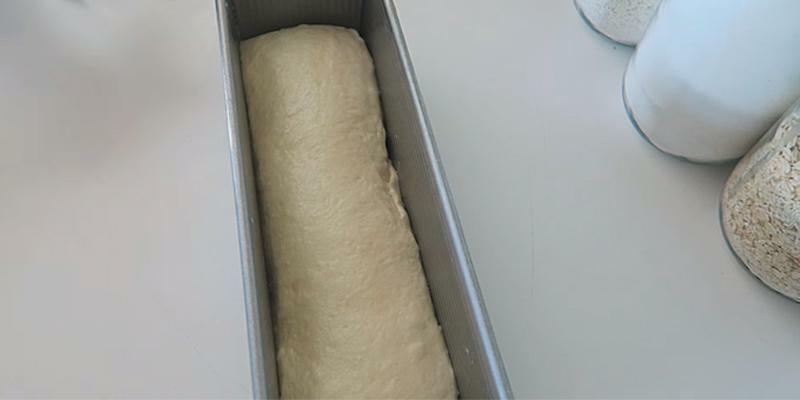 The convenience of using a regular bread pan is determined by the lid, handles, and overall dimensions of the utensil. The lid should be attached and removed effortlessly. 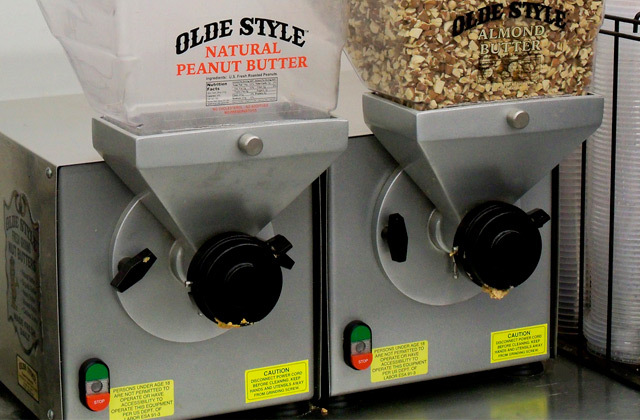 Sliding lids are considered to be the most convenient. The handle will add to the convenience and safety of your bread pan and give you an opportunity to put the pan inside the stove and take it out without any troubles. Purchasing a bread tin both for baking and cooking some other dishes, always pay attention to the item's dimensions and depth. Larger bread pans will save your time and effort helping you to bake a rather big loaf. And finally, some special tools like lame will become a handy and nice extra benefit contributing to your comfort and offering some extra options. 1. PJ Hamel Choosing the right bread pan: size affects rise in a major way, Kingarthurflour. February 12, 2016. 2. Maryellen Driscoll Test Drive: Loaf Pans, Finecooking. 3. Denzil Green Bread Pans, Cooksinfo. 4. Mary Jane Phifer Baking the Perfect Sandwich Bread Loaf: It's Hip to Be Square, Motherearthnews. January 16, 2014. 5. 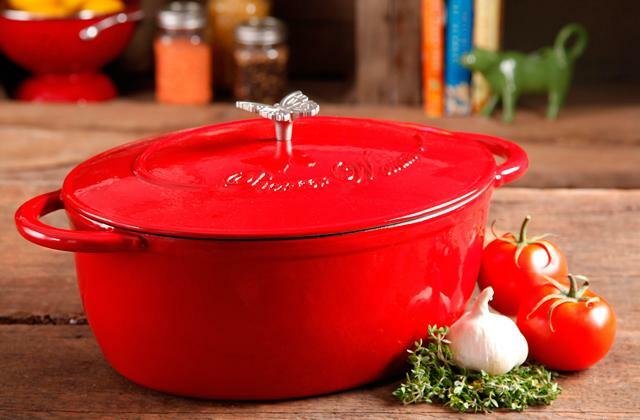 Lindsay S. Nixon Metal, Glass, Ceramic, or Silicone Pans: When To Use Each, Happyherbivore. 6. Bread pan, Wikipedia. August 4, 2015. 7. Max Bernstein The Science of Baking Bread, Serious Eats. October 15, 2014. 8. List of Breads, Wikipedia. July 27, 2016.